Held to a strict pitch count, Red Sox prospect Casey Kelly goes two innings against the Rock Cats. 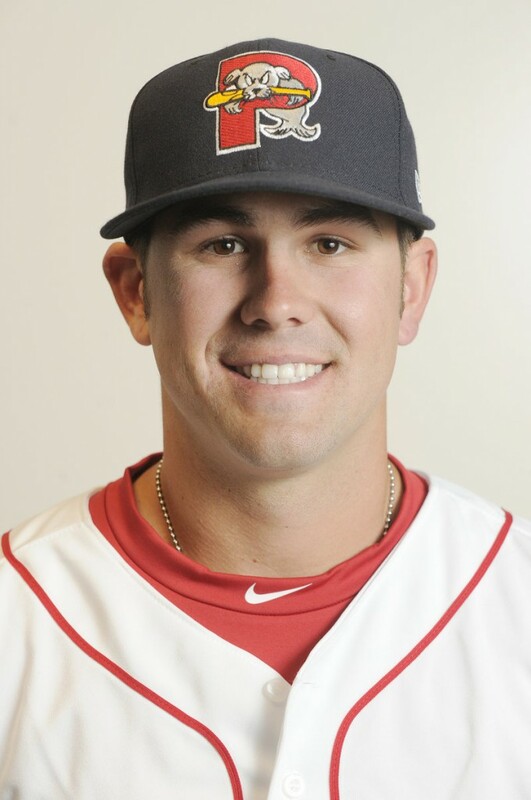 NEW BRITAIN, Conn. – New Britain got its first look at Boston Red Sox prodigy Casey Kelly, even if was just a passing glance. Kelly, Boston’s first-round pick in the 2008 draft, pitched just two innings, and he was fortunate he went that far after a sharp hit to the box glanced off his glove in the first inning. Kelly’s replacement, Eammon Portice, employing his best Luis Tiant back-to-the-hitter impression, looked more like the hot prospect. Portice allowed two hits in four innings and Ray Chang drove in three runs with a pair of doubles Monday night as the Portland Sea Dogs extended the Rock Cats’ season-opening losing streak to four with an 8-2 victory before 3,964 at New Britain Stadium. Since Kelly started his professional career as a shortstop, the Red Sox have approached his transition with caution. The plan was to limit him to 50 pitches, and he was removed after 45. He gave up an unearned run on three hits, walked one and struck out two. Portice (1-0) retired 11 straight hitters until Chris Parmelee sent an 0-2 pitch over the wall with two outs in the sixth inning. Portice allowed a single to Joe Benson before retiring the side and turning the ball over to left-hander Andrew Dobies. For the fourth time in four games, the Rock Cats (0-4) were in a hole before they could swing a bat. The Sea Dogs (2-3) roughed up starter Deolis Guerra (0-1), pounding out five hits and scoring four runs. Ryan Kalish led off with a single and took third on a one-out hit by Nate Spears. Luis Exposito lofted a sacrifice fly for the second out, but Yamaico Navarro doubled high off the left-field wall and Chang drove him home with another double. Jose Iglesias then looped a run-scoring single to right to give the Sea Dogs a 4-0 start. The Rock Cats have yielded 12 first-inning runs. Red Sox Nation breathed a sigh of relief in the New Britain first when Rene Tosoni hit a shot back to the box that careened off Kelly’s glove and into left field. Kelly then retired the side, stranding runners on first and third. “Thank God I got my glove on it,” Kelly said. “It was past me before I even knew what was happening. I kind of hit the ground and asked myself, ‘Is anything hurt?’ It was a good thing that didn’t hit me. The Rock Cats reached Kelly for a run in the second. Benson (2 for 3) worked him for a leadoff walk and took second on an error by shortstop Iglesias. Ben Revere’s infield hit loaded the bases and Benson scored on a wild pitch. New Britain reciprocated by allowing its seventh unearned run of the season in the fourth. Iglesias reached on Juan Portes’ error at third and cruised home on a triple by Jason Place, and Portland regained its four-run advantage. Portland blew it open with a three-run seventh. Exposito drove in his second run of the game with a single, and Chang (2 for 5) drove in two with a double.